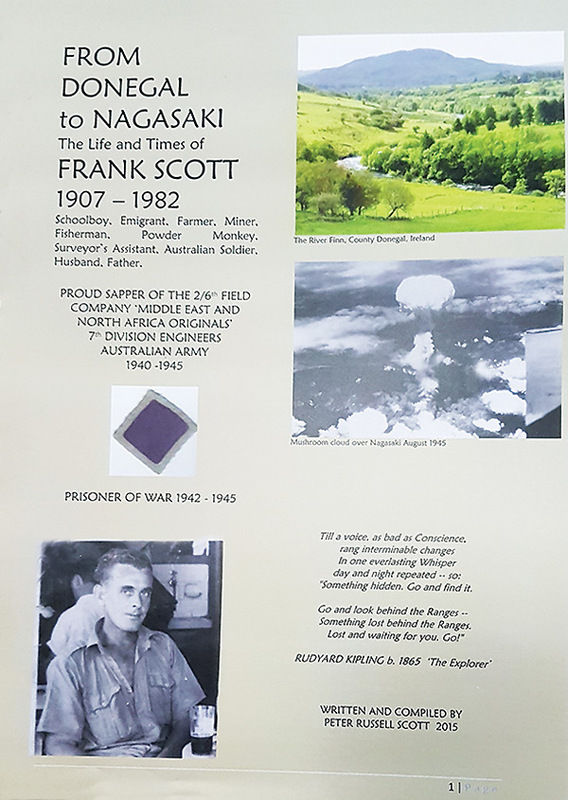 Frank Scott - from Donegal to Nagasaki Schoolboy, Emigrant, Farmer, Miner, Fisherman, Powder Monkey, Surveyor's Assistant, Australian Soldier, Husband, Father. 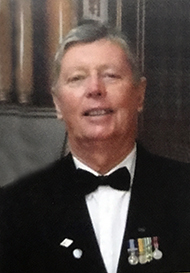 Peter Russell Scott was born in Tamworth NSW in 1947, and was initially educated at Tamworth High School to the Leaving Certificate, then The Sydney Technical College as a Land and Engineering Survey Draftsman. From 1968 to 1970 he served in the Australian Regular Army (National Service Supplement) and saw 12 months active service in South Vietnam as a Field (Combat) Engineer with the 1st Field Squadron RAE, attached on operations to the 5th and 7th Battalions Royal Australian Regiment Royal Australian Infantry, and with the 1st Armoured Regiment and 3rd Cavalry Regiment Royal Australian Armoured Corps. On completion of his military service obligation, Peter returned to his career in the NSW Department of Lands. He continued his education at Mitchell College of Advanced Education, in Town Planning, and the University Of New England, in Natural Resources Management. Peter is a foundation member of the Vietnam Tunnel Rats Association Inc., and has made a number of return visits to Vietnam, with the Association, as well as with family members in recent years, engaging in a positive and open manner with former enemy veterans of the E33 Battalion North Vietnamese Army, and various Battalions of the Viet Cong, including D445.